A wedding cake trend is ever-evolving. Sometimes you can see them coming from a mile away and other times they seem to come from out of nowhere! 2017 was filled with some trends that won’t die (rustic cakes, naked cakes, metallics) and some that took the internet by storm (geode cakes, marble cakes). Predicting cake trends can be vital to snagging those high-end clients this season! The hard part about predicting cake trends is you have to see what brides are asking for now and see what they might be asking for in a few months. THEN you have to actually make a cake that represents that trend because guess what, brides will not order a cake that they can’t see. And we all know how much we hate making another Pinterest cake designed by someone else. While researching upcoming trends for tutorials, I became so inspired by all the beautiful colors, textures and themes, I just wanted to make them all! But really, if I’m honest, there are far more talented cake decorators out there who specialize in not only wedding cakes but these particular styles that happen to be trendy. I thought wouldn’t it be fun if those cake decorators designed a cake around the trend with no clients to tell them how. Just pure inspiration! The cakers dream. 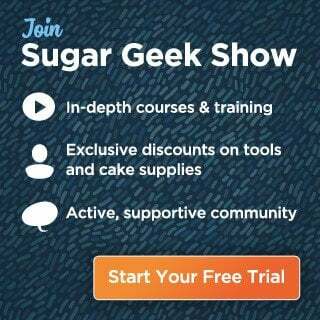 Please enjoy the following Ten Wedding Cake Trends from 15 top cake decorators in the industry based on our predicted cake trends for 2018. 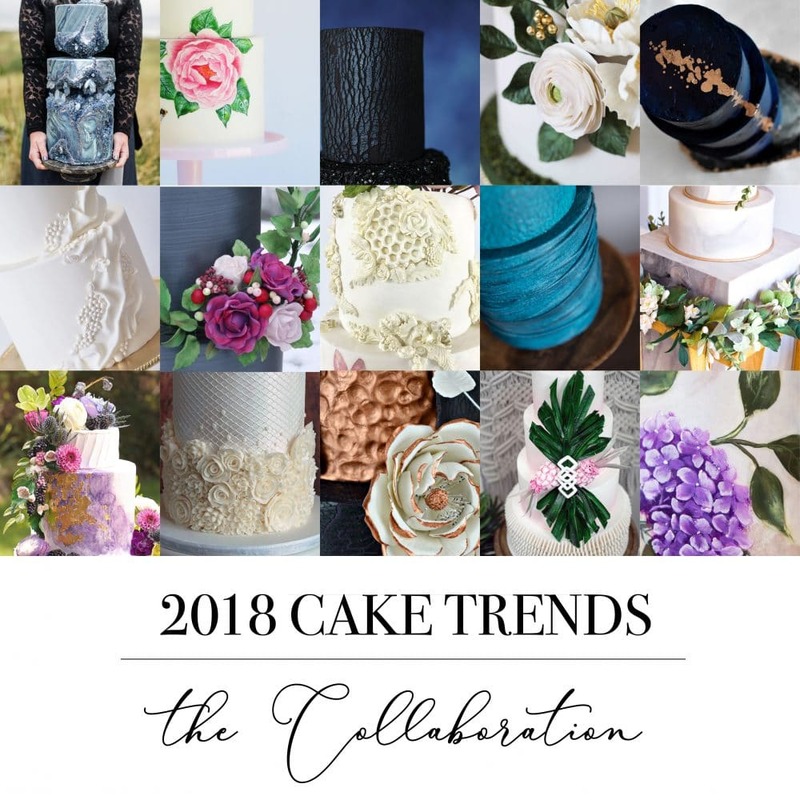 These definitely are not ALL the cake trends coming up in 2018, every day new trends are popping up! This collaboration is featured in the latest issue of Cake Masters Magazine!